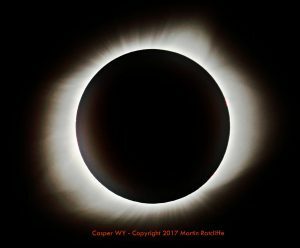 August marked one of the most publicised astronomical events of 2017 – a total eclipse of the Sun which was visible the US. Totality, where the Moon completely covered the Sun, was visible from a narrow strip stretching from Oregon in the northwest to South Carolina in the southeast, while the partial eclipse was visible from the whole of North America – and beyond – making this the most viewed eclipse in history. As well as those living in the US travelling to see it, many other people travelled thousands of miles to see this event. I spoke to US-based astronomer Martin Ratcliffe, former Cardiff Physics student Peri Jones, and UK-based astronomer Will Gater, about their experiences of this eclipse. Here in Cardiff we’ve had a few interns working over the summer on a number of projects, in collaboration with Las Cumbres Observatory and the Ogden Trust. From building 3D printers, to designing robots, and from playing with Lego to translating educational resources. An extended edition of an original broadcast on 30th August 2017 as part of Pythagoras’ Trousers on Radio Cardiff.